Red Rake Gaming will be integrating its full range of video bingos and video slot machines with iSoftBet’s Game Aggregation Platform (GAP). With this new agreement, Red Rake Gaming continues to extend its presence in the Online Casino sector, with its games having an increased presence on the main platforms. 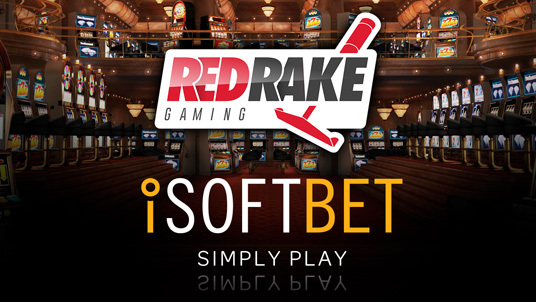 Carlos Fernández, Director of Business Development at Red Rake Gaming expressed his satisfaction with this agreement: "For such a young company like Red Rake Gaming this partnership with iSoftBet is a true milestone and helps us in our ultimate goal of providing our innovative and first-quality content to the biggest e-gaming operators. The integration and general cooperation with iSofBet has been a pleasure and we're sure it's going to be greatly beneficial for both parties. 2017 is being a great year for Red Rake and 2018 is surely going to be even better." Michael Probert Head of Business Development at iSoftbet stated that the: "iSoftbet GAP platform keeps growing and proving to be one of the best content aggregators in the market. Our goal is to add the best-performing content in the industry and to enter regulated markets with market-specific content where possible. Red Rake Gaming certainly provides that as they create some extremely engaging casino games. We are sure that our growing lists of top class customers are going to enjoy the new content and we look forward to distributing them further in Spain and through Europe."